New York is known for a lot of things, and pizza is definitely one of them. If you’re in the Huntington or Greenlawn area, you’ll have access to some great pizza places. Whether you’re looking for something unique or traditional New York style pizza, you can find exactly what you’re looking for when you visit these pizza places in Huntington. Little Vincent’s Pizza is a cozy parlor that is popular late at night for their impressive pies. With cold cheese pizza slices as on option, or Neapolitan pizzas, you’ll have your choice of unique options whenever you decide to stop in. Looking for an Italian restaurant in Huntington? Porto Fino is the best choice. With gourmet pizzas, you can get your fill of the exotic when you opt to dine here. And should you be in the mood for something other than pizza, you can dine on weekly specials, homemade pastas, fresh seafood, and so much more. A quick drive from Cold Spring Harbor, Massa’s Pizzeria is known for their coal-fired brick oven pizzas. The old world charm coupled with their fresh ingredients and unique take on pies will certainly make you want to come back for more. Plus, it’s family friendly, so it makes the perfect place to stop after that soccer game. DiRaimo Pizzeria is one of the most favorite pizza places in the Huntington Station area. With fresh ingredients and a comfortable atmosphere, this place always seems packed for good reason. Opt for the traditional mozzarella and basil pizza or dine on one of their unique options instead. No matter what, you’ll definitely find yourself coming back. Did We Miss Your Favorite Pizza Place? If your favorite joint or your regular pizza place in Huntington was missing from this list, let us know. 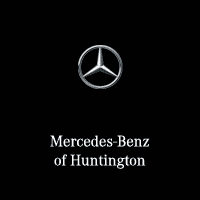 Mercedes-Benz of Huntington has been a part of the local community for many years, and we enjoy helping people discover new things to do in the area. From finding destinations on Long Island to other restaurants in Huntington, we can be your guide to all things in the area. Contact us today to learn more about the community or let our team provide you with the winter car care your vehicle needs to enjoy all these pizza places.